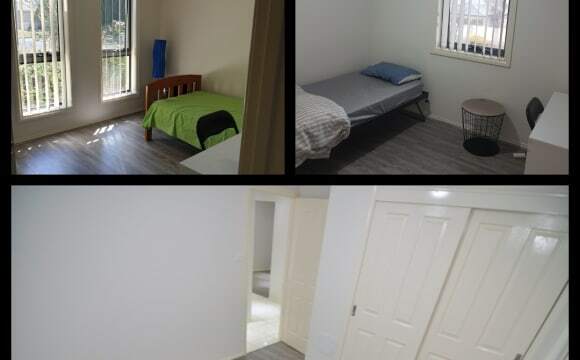 Best &amp; affordable rental deal in the Market right now till rooms last Closely Located house to Gungahlin market – hardly 5 minutes walking distance to market Best Location – 50 Metres Bus stop &amp; 100 Metres new Metro Rail station Rooms (multiple) - $200 including all bills ( Fast NBN Internet, Gas, Electricity, Water &amp; Cleaning) Gym Equipment available onsite and will be used by tenants but no responsibility of land lords. Lease flexibility you can leave after 2 weeks’ notice (As we believe we have best deal) Tenants living in the house without owners. Big Spacious Furnished Rooms with built in robes ( House have 4 bathrooms and laundry) Parking available for all rooms House Cleaning done by Cleaner (Tenants keep their room clean) All Bathrooms newly renovated Fast NBN internet connection (unlimited ) Gas Cook top and oven, Central Heating and Evaporate Cooling system for all rooms and common area Established low maintenance garden, enough background space for BBQ for friends less than 5 minutes’ walk to the Gungahlin Market Place Light Rail virtually at your doorstep, direct access to public transport and the convenience of living near the CBD and amenities Off street parking and double garage Freshly painted interior and exterior No Smoking inside house or rooms but in backyard is allowed. Canberra's first Tram in 2 days.....Canberra's fastest growing suburb -Gungahlin. A furnished bedroom in a four bedroom house with separate bathroom is available. Double size bedroom, queen size bed and built-in wardrobe, study table and chair. Bathroom to share with one person only. Personal parking spot available. The house has 3 rest rooms and 2 bathrooms. Gungahlin to City/ANU is 30 minutes by bus or 26 minutes by Light rail. One bus to Belconnen Town Center, University of Canberra, Civic, ANU, Brindabella Business Park. The closest bus stop is a minute's walk away, however a more frequent bus/train station is 6 minutes walk. Gungahlin town center and local library are 12 minutes walk. Share utilities. High speed Broadband internet and Netflix are available for free. The house has a rooftop solar panels which means low electricity bills most seasons. We live in a positive home environment and everybody enjoys everyone's company, and we would like to keep that going. If you are interested in the room, you feel that that you can easily fit in, please feel free to message and we can arrange an inspection at a suitable time The location in a quiet street and relaxing environment. Available NOW. Large bedroom with shared bathroom, fully furnished with queen bed, lockable door, built-in wardrobes, large window overlooking backyard. $210wk or $240wk for couples. 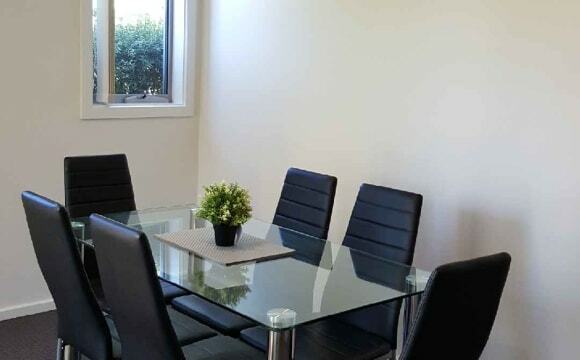 Excellent location right in the heart of GUNGAHLIN! Only 2 minutes walk to the town centre. Lots of buses to the city etc. Fast NBN. Garage space available for $20wk. ***IF YOU ARE READING THIS THE ROOM IS STILL AVAILABLE. IF INTERESTED SEND ME A MESSAGE TELLING ME (1) ABOUT YOURSELF; (2) WHEN YOU ARE LOOKING TO MOVE IN SOMEWHERE; (3) HOW LONG YOU ARE LOOKING TO STAY FOR*** No children, no pets. Would suit mature professionals over 25 years. Bills are split between housemates but I take $15 week PER PERSON and make the adjustments at the end of the quarter. The house is fully furnished with everything you need. Large TV, large fridge, washing machine, large pantry space, vacuum. Just BYO towels, linens and pillows. Minimum stay is 6 months, preference to those who can commit to 12 months or longer. 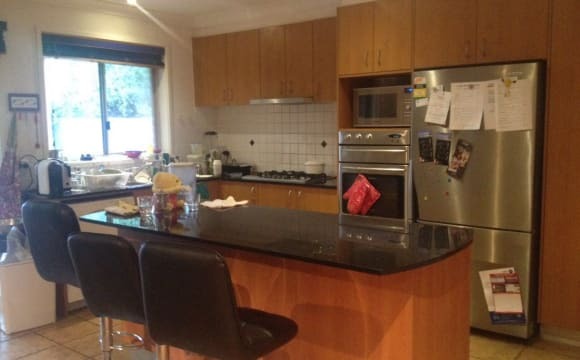 Beautiful 5 bedrooms house in Gungahlin. 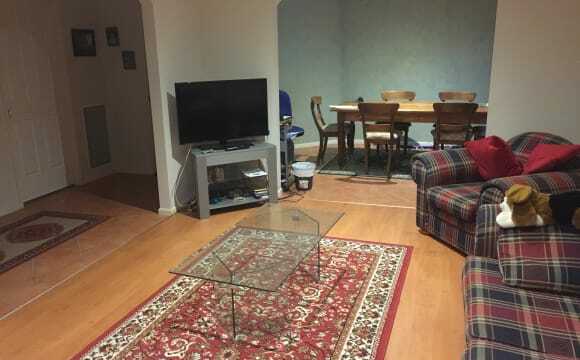 Walking distance to Gungahlin market, bus stops and guanahlin lake. Timber floor and build in wardrobe in spacious bedroom. duct heating and cooling system. large and beautiful front and back yard, great for BBQ n beer in the summer. Clean, tidy and quiet living environment. Plenty of bus routes to civic &amp; Belconnen. House n room would be furnished, double bed in bedroom. feel free to contact me for inspection. 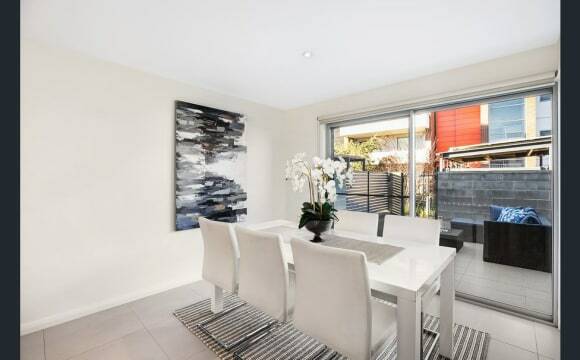 Beautiful 5 bedrooms house in Gungahlin. 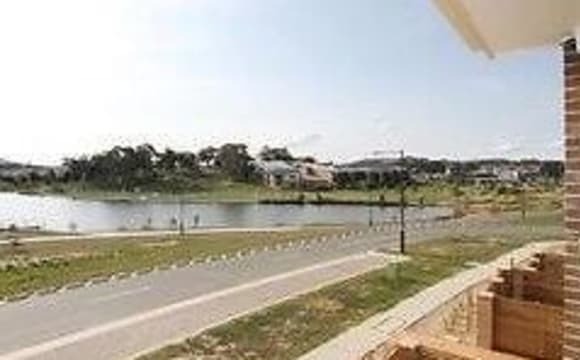 Walking distance to Gungahlin market, bus stops and guanahlin lake. 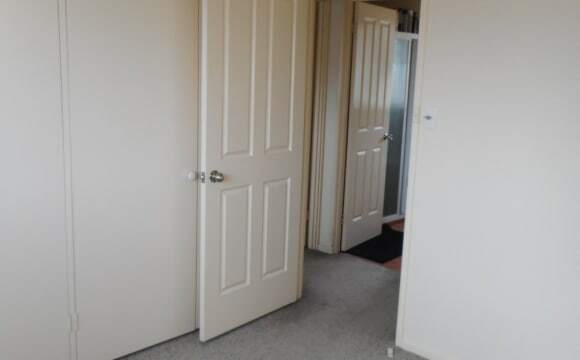 Carpet and build in wardrobe in spacious bedroom. duct heating and cooling system. large and beautiful front and back yard, great for BBQ n beer in the summer. Clean, tidy and quiet living environment. Plenty of bus routes to civic &amp; Belconnen. House n room would be furnished, single bed in bedroom. feel free to contact me for inspection. 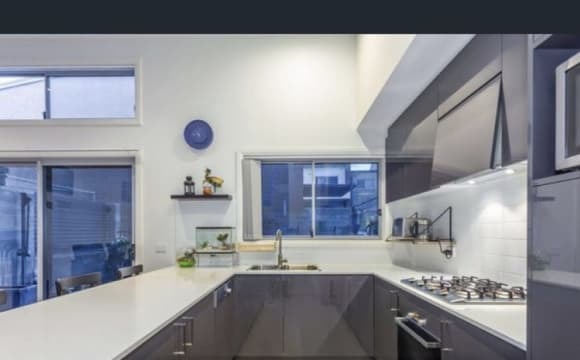 Copied from the Rental website, description written by real estate agency. 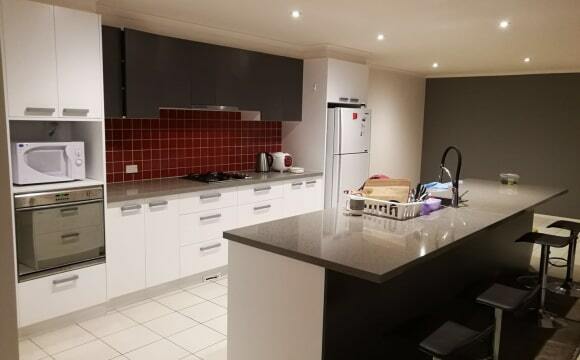 'Lovely first floor 2 bedroom, 2 bathroom apartment is situated just a 5 minute walk from the Gungahlin Town Centre. With your comfort in mind, the apartment includes a combined living/dining area and a gourmet kitchen with stone bench-tops, stainless steel appliances and a dishwasher. The balcony which is accessible directly from the master bedroom and the living area is perfect for outdoor entertaining. 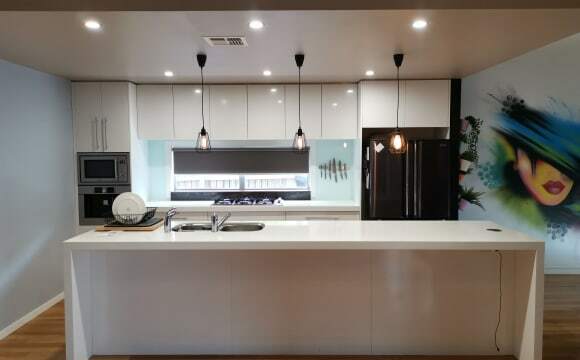 This property includes reverse cycle split system for heating and cooling, broadband cabling (TransACT Fibre) and is close to public transport. Two secure undercover parking spaces, storage shed and secure intercom access. Lovely sunny aspect and views over the park.' Bond is 4 weeks rent. I have a rag-doll cat, you don't need to be a cat lover, but at least be gentle with cats. You must be clean as I like to keep a tidy flat. ***One double room available in a modern and tastefully fully furnished and equipped house in Franklin*** This lovely fully furnished and equipped house is located in the convenient suburb of Franklin. Suitable for young female professional or a mature university student who enjoys living in a super clean, tidy and comfortable home with a beautiful garden. Main Features: * Evaporated cooling and ducted heating throughout the house * North-facing living room filled with sunlight * Modern kitchen with large breakfast bar * Garage with internal access and off-street parking space * EER 6+ with solar hot water and solar panels installed for energy cost saving * Fully furnished and equipped with modern furniture and appliances * Bedrooms have beautiful garden view * Large ourtdoor open space * Fast speed unlimited NBN internet * No pet and no smoker The property is available for viewing, please contact the owner via flatmates.com.au. Hello! I have a fully furnished room with BIR in my 3 bedroom house in Franklin. The rent is $220 per week including bills. The room has a queen size bed, 2 bedside tables, television and plenty of wardrobe space. Share bathroom but it has a powder room which is seperate to the shower and toilet. The rest of the house is fully equipped, modern and clean. It would be ideal for a worker who commutes interstate for work and just needs somewhere fully furnished with everything you need Mon- Fri. This is my preference. If I did however find someone that I got along with well, I would possibly be open to a weekend stay ( rent would be $260 including bills) . I'm a friendly 34 year old public servant. I go to the gym, play netball and like to cook. Love being outside in the sunshine! 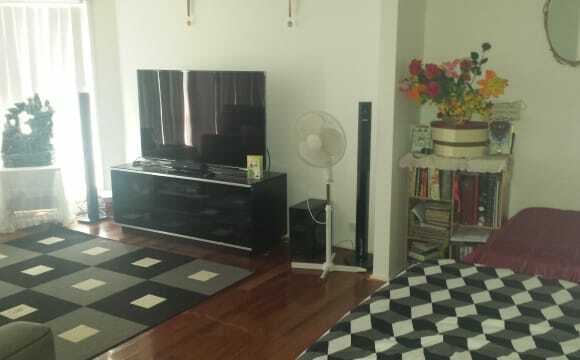 Very clean and tidy house super close (2 min walk) to public transport and major shops. Has a great deck and a bbq which is perfect for summer! If you're interested please shoot me a message! Rent includes bills and unlimited internet! Happy house hunting! Nice water front home with last bedroom available, fully furnished with everything you need. Rent is $190 per week, and $30 per week for all the bills which includes water gas electricity and unlimited Internet. 1. Waterfront view with easy access to riverside walking track. 2. Large home with 3 beds upstairs and 3 beds downstairs. (all current rooms are of single tenant) 3. There are 3 Bathrooms, 3 toilets and large kitchen large living area. 4. Reverse cycle Airconditioning in all rooms/whole house, which has both heating and cooling. 5. European kitchen appliance, 900mm big cooking top and over, dishwasher, 3 large fridges, dining tables and chairs, couches. Laundry room with heavy duty new washing machine. 6. 2 courtyards available - front and back 7. Individual locks on each bedroom, which provides more privacy and safety. 8. High ceiling and double sized window with blinds, large wardrobe. 9. NO rostered cleaning is required, as the owner will come to do the common area cleaning each week. You just need to maintain your own bedroom clean and tidy up after your own cooking/meals etc. 10. Bus stop within walking distance, which goes to Civic/ANU/Gungahlin/Belconnen/UC. 11. Plenty of parking spots on site, off street. 12. Close to Gungahlin shopping centre and Forde local shops/gym/swimming pools etc. 13. Fibre cable NBN Internet - super fast UNLIMITED download. Wi-fi for the whole house. 14. All current house mates are full time young working professionals, tidy and kind. 15. Owner Does NOT live on site, but lives in the next suburb. It is easy to contact for help or any issues. Water Ftont Nice home with one beautiful bedroom available, fully furnished with everything you need. Rent is $170 per week, and $30 per week for all the bills which includes water gas electricity and unlimited Internet. 1. Waterfront view with easy access to riverside walking track. 2. Large home with 3 beds upstairs and 3 beds downstairs. (all current rooms are of single tenant) 3. There are 3 Bathrooms, 3 toilets and large kitchen large living area. 4. Reverse cycle Airconditioning in all rooms/whole house, which has both heating and cooling. 5. European kitchen appliance, 900mm big cooking top and over, dishwasher, 3 large fridges, dining tables and chairs, couches. Laundry room with heavy duty new washing machine. 6. 2 courtyards available - front and back 7. Individual locks on each bedroom, which provides more privacy and safety. 8. High ceiling and double sized window with blinds, large wardrobe. 9. NO rostered cleaning is required, as the owner will come to do the common area cleaning each week. You just need to maintain your own bedroom clean and tidy up after your own cooking/meals etc. 10. Bus stop within walking distance, which goes to Civic/ANU/Gungahlin/Belconnen/UC. 11. Plenty of parking spots on site, off street. 12. 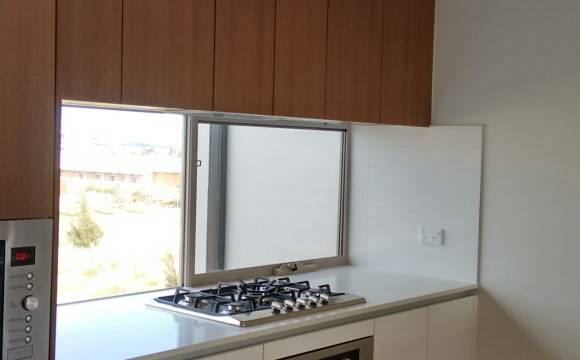 Close to Gungahlin shopping centre and Forde local shops/gym/swimming pools etc. 13. Fibre cable NBN Internet - super fast UNLIMITED download. Wi-fi for the whole house. 14. All current house mates are full time working professionals, tidy and reliable. 15. Owner Does NOT live on site, but lives in the next suburb. It is easy to contact for help or any issues. Nice home with last bedroom available, fully furnished with everything you need. Rent is $190 per week, and $30 per week for all the bills which includes water gas electricity and unlimited Internet. 1. Waterfront view with easy access to riverside walking track. 2. Large home with 3 beds upstairs and 3 beds downstairs. (all current rooms are of single tenant) 3. There are 3 Bathrooms, 3 toilets and large kitchen large living area. 4. Reverse cycle Airconditioning in all rooms/whole house, which has both heating and cooling. 5. European kitchen appliance, 900mm big cooking top and over, dishwasher, 3 large fridges, dining tables and chairs, couches. Laundry room with heavy duty new washing machine. 6. 2 courtyards available - front and back 7. Individual locks on each bedroom, which provides more privacy and safety. 8. High ceiling and double sized window with blinds, large wardrobe. 9. NO rostered cleaning is required, as the owner will come to do the common area cleaning each week. You just need to maintain your own bedroom clean and tidy up after your own cooking/meals etc. 10. Bus stop within walking distance, which goes to Civic/ANU/Gungahlin/Belconnen/UC. 11. Plenty of parking spots on site, off street. 12. 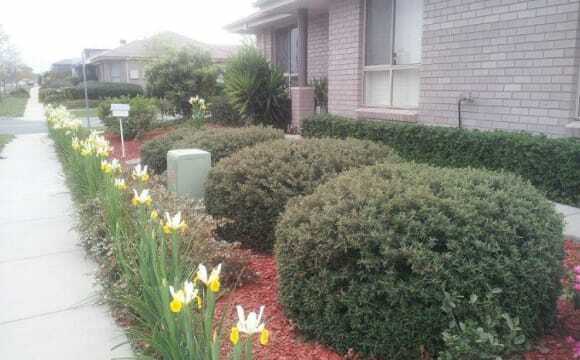 Close to Gungahlin shopping centre and Forde local shops/gym/swimming pools etc. 13. Fibre cable NBN Internet - super fast UNLIMITED download. Wi-fi for the whole house. 14. All current house mates are full time young working professionals, tidy and kind. 15. Owner Does NOT live on site, but lives in the next suburb. It is easy to contact for help or any issues. This is a comfortable 4 bedrooms modern house 13km to City. You will be staying in a one specious bedroom has a queen bed and your own bathroom and toilet. Central heating, wireless internet, TV. Available from 27th May 19. The house is a very small duplex cottage on a large block, suit a single person who enjoys peace and quiet with no household traffic each day. We do not cook but if you like to cook you will be responsible for thourough cleaning or consequences after cooking. ideal if you have a car and work in Mitchel or have relatives in Gungalin where you can have meals with them. LOCATION: RIGHT ON THE LIGHT RAIL ROUTE HENRY KENDALL STREET IN FRANKLIN The room comes unfurnished, but single bed+mattress, etc are available should you need it. Your own bathroom is adjacent to the room. The bathroom is fully equipped with large-sized shower, soft-close toilet and wall-hung vanity with storage and immediate hot water. Room is lockable with keys Built-in wardrobe with plenty of storage. The kitchen and living area is on the second floor so you will have your privacy as your room is on the ground floor. The townhouse is right on Fleminton road aka light rail route and 1 minute walking to the local Franklin shop (Woolworths, doctors, chemists, etc.) 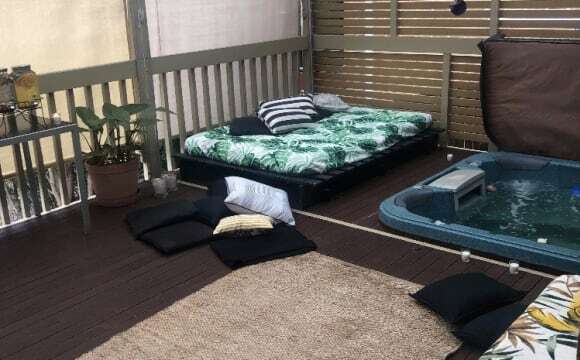 NBN Unlimited internet 50Mbs Unlike other shared houses that have many people and are open up to party and noise, this house is not like that. Current flatmates are two female public servants. Flatmates are busy working and studying. Clean your own room and general tidying up after yourself in the kitchen after use is expected. There is a rostered cleaning schedule for the common areas that you will need to participate in. Sorry no pets No parties. Non smoker only. Bond equals 4 week rent. Rent is fortnightly and 2 weeks in advance. Bills are divided by 3 4-week notice required when moving out. Feel free to contact me for an inspection. Room is available on 5th May, ad will be taken down if the room is no longer available. Quiet neighbourhood and house has two living areas and a great outdoor entertainment set up for BBQs and relaxing. We are a Thai/Australian family so a female student that can bond with my 16 year old step daughter would be ideal. My wife and step daughter are Thai and I am Australian. Ideal location for students as there is plenty of privacy and space which is conducive to study. It has a good sized kitchen, ducted gas heating and ducted evaporative cooling to keep you warm or cool all year around. Looking for housemate who isrelaxed, quiet, tidy and happy to pitch in with housework and garden upkeep - not much to do in this regard. Palmerston is only 15 mins drive from the city, 10 mins from Belconnen and a single bus ride to both. 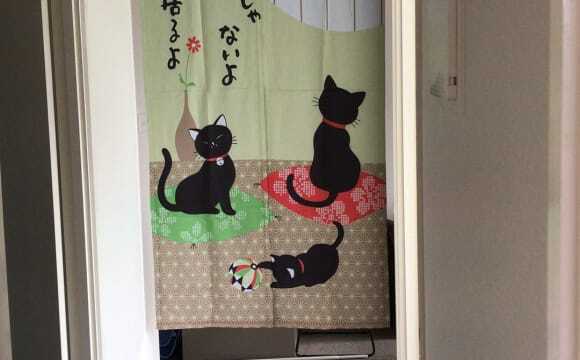 ONLY FEMALES to apply as one of the rooms is occupied by my step daughter for part of the year when she visits, and we would prefer only females apply as the main bathroom will be shared with my step daughter. Please note NO PETS!! - 3 bedroom townhouse in Forde. 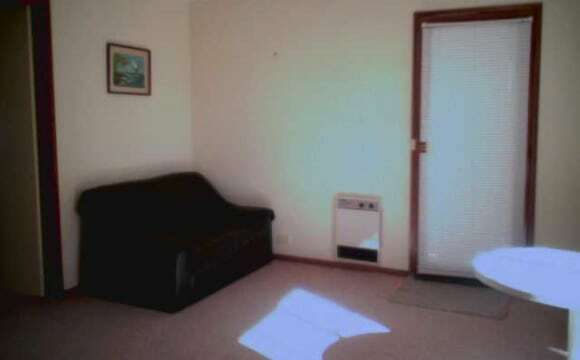 - Partially furnished (room available is unfurnished). - Outdoor area with deck. - Available room is good sized (main bedroom) with en-suite, walk in wardrobe and balcony. - Heating/aircon. - Many many plants. - Flowers on tap (living with florist). 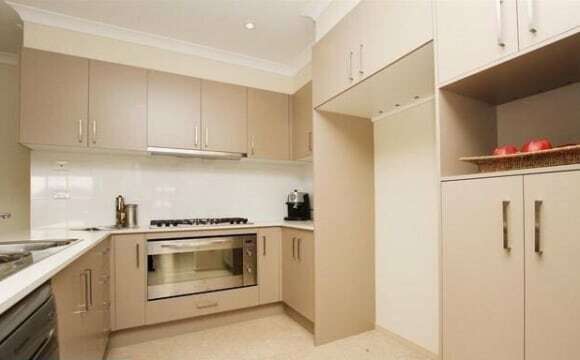 - Close to Yerribi pond and Gungahlin town centre. - $15 p/w internet (additional to rent). - Quite street/complex.